Imagine, for a moment, that you can step inside the world of one of your favorite things. You’ll meet the creators, find out how they do it, talk to the team that makes it happen, and find out what’s next. Whether it’s anime, books, comics, comedy, video games, TV or movies, this is a dream that can become a reality thanks to comic cons. Where comic cons originated as events with a singular focus on the comic book industry, they’ve expanded to include all of the pop culture we hold dear. The Chicago Comic and Entertainment Expo, or C2E2 as it’s more commonly known, is the first Chicago convention each year, and the only one which takes place within city limits. C2E2 kicks off con season in Chicago for its 8th year when it arrives at McCormick Place April 6-8. with the addition of a comedy stage and the involvement of tons of local creative groups making it uniquely Chicago and packed to the brim with awesomeness. And no matter what it is you like or how familiar you are with the con scene, you’ll find something to enjoy. Our preview features some of the things we think are not to be missed, with a bit of choose-your-own-adventure flavor when great things collide, as they often do at C2E2. Follow along, make a note of the things you’ve got to see, and we’ll see you on the floor, with day-by-day complete coverage of C2E2 starting Friday morning. You’d do well to forget about sleeping in during C2E2 (or getting much sleep at all) and start your first day off early. At 10:45, you can find out all about cosplay and how to make it happen for you with the Getting Into Cosplay panel. OR: if you’re a Whovian and you can’t miss a discussion on the world of Doctor Who, consider stopping into She’s the Doctor at 11:15 am, a discussion of Jodie Whittaker’s upcoming role as the Doctor. Long about 12:30, comic fans and superhero junkies in general will want to take advantage of the Mark Millar spotlight and enjoy learning about Millar’s role in everything from Kickass and Kingsman to a catalog of DC and Marvel comics and a Netflix empire that truly inspire awe. OR: If you’re a fan of the absurd insanity that is the world of ClickHole and you’re 18+, consider taking in Incredible: A Panel With The Writers of ClickHole. OR: Don your Browncoat best and get some time in with Firefly favorites Gina Torres and Alan Tudyk with Leaves on the Wind. At 3, head to a pineapple under the sea and see Tom Kenny, who brings our favorite square pantsed pal to life when he has his spotlight on the Main Stage. Around 4:30, it’s time to make a few more choices, with a Guardians of the Galaxy panel featuring Sean Gunn and Dave Bautista beginning on the Main Stage and a Panel from the Magic Tavern featuring all the fun from the podcast beginning simultaneously. OR: Don the colors of your house and swear you’re up to no good to make it to the Harry Potter 20th Anniversary panel, which promises discussion of the much beloved franchise and even some free goodies. At 6:00, check out Clickhole Live! if you’re 18+ as they take the Main Stage. At 7:00, get up close and personal with Crowley and get ready for the Mark Sheppard spotlight. If you’re not totally exhausted by then, have a nightcap while attending the Podlander Drunkcast for a live taping at 8:00, and really make the first day count. Then get some sleep, because Saturday will only be crazier. Today things seem to really kick off around 11:00. Things like the massive wonderfulness of two legendary comic creators, Brian Micheal Bendis and Mark Millar, in one panel. OR: If you’re as psyched about the TV adaptation of American Gods, you might want to make your way to the panel featuring Ricky Whittle and Yetide Badaki where they discuss it. You could also show your Supernatural love at the Carry on My Wayward Sons (and Daughters) panel to talk all things Cas, Moose, Squirrel and even Scooby. OR: Save it for 11:30 and join The Onion for The Onion Talks Pop Culture. At 12:00, if you’re an Overwatch lover, you’ll want to make sure you head to The Voices of Overwatch. Svengoolie fans will be thrilled about his spotlight at 1:45. OR: If you’re a local who loves The Nerdologues or someone who enjoys a great laugh, you can check out MBSing, hosted by Mary Beth Smith of The Nerdologues, when it starts at 2:00. Nerdologues fun continues at 3:30 for a live taping of Your Stories, while film nerds can check out the world premiere of Daphne & Velma beginning at 4:00. Otherwise, consider being a guest at Attend the Tale of Danny Tanner: A Full House Musical, a decidedly non PG show that might ruin your childhood. 7:00 is all about the big events. Saturday night at C2E2 is the time for the Crown Championships of Cosplay on the con’s main stage in S406. It’s an amazing competition representing the best of the best, not just at C2E2, but the whole of ReedPop’s con circuit, and if you’re a cosplayer or just someone who loves to see amazing costuming work, it’s a real highlight of the weekend. OR: Another fantastic event happening at 7 is the world premiere screening of The Toxic Avenger Rock Musical. There are so many reasons you’ll enjoy this, among them being the first to get to see it, so definitely put this on your list of maybes if you’re at all a fan of theater or fun in general. Some people think a con’s last day is full of leftovers, but that’s not at all true for C2E2. In fact, some of the most anticipated events take place today. Consider your first round of choices, which begins bright and early again at 11:00. If you’re into classic games, think about attending a retrospective on Mortal Kombat with Kombat Begins: A Look back at Mortal Kombat. This panel features the actors who voiced several of the favorite characters from the franchise over the years. OR: If you’re a ghost hunter type, think about the Chicago’s Haunted History Meets ‘Visitations’ Comic panel. You could also wait until 11:45, and check out the cutest part of C2E2, by heading to the con’s Family HQ for the Kids Costume Showcase to check out all the little Jedi, Deadpools, Poison Ivys and Harley Quinns. At noon, think about learning more about the voice acting industry. 12:00 is when you can learn Everything You Ever Wanted to Know About Voice Acting on the Main Stage. Then, if you are caught up in the This is Us fandom or loved Smallville and Gilmore Girls in your younger days, keep your butts in your seats in S406, as 1:00 is showtime for the This Is: Milo Ventimiglia & Justin Hartley panel. We expect this may be the most packed panel of the con, so if you’re planning on attending, remember early at a con is measured in hours. At 4:00, say goodbye to all the nerdy fun with the Cosplay Showcase with our friends at We Are Cosplay, where everyone who’s worked so hard gets a chance to strut their stuff for one last time. The above is a small sample of the panels and the guests planned for C2E2 2018 that we thought had major crowd appeal. As we said before, there’s something for everyone though, so check out the schedule and really make it your own. There are all kinds of kid’s events, and meetups for almost every fandom, with an array of anime attractions, lots of educational panels, cosplay how-tos running every day, and small talks with all the big names happening on the show floor stage daily. If this year’s event is anything like last year, the crowds will be huge. If you’re going with a group, make sure everyone has a way to keep in touch, and think about having a rendezvous point you’ll circle back to at some point. Wear comfy shoes, and drink water in between rounds of specialty soda. For big name panels: If you want to see it, you need a game plan. Last year, parking at McCormick Place completely sold out within the first two hours two days in a row due to crowds wanting to see the Stranger Things panel and Jason Isaacs. Either use public transportation to McCormick when possible or plan on getting to C2E2 a few hours in advance of the event you want to see. There are free shuttles for badgeholders in the downtown area you can hop, but this again requires advanced planning. If you miss your favorite star, or if one panel conflicts with another, check out the show floor stage for shorter events with the same personalities, which happen frequently. They’re shorter format and more casual but can be quite a bit of fun. Once at the con, make sure you plan on lining up for the event well in advance. The show floor stage is tiny and there are only a handful of seats, so if you want a glimpse of guests in this environment plan on arriving early or standing. For main stage spotlights, line up early. Camping (staying in a room from one panel to the next) is not always allowed, so keep that in mind for the larger panels.Snacks, hand sanitizer and battery backups are your friend, but if you bring a bag, be aware you’ll need a little extra time for bag searches. Above all, though, have fun! Check out amazing cosplay or show off your own, meet all the amazing nerds in your fair city, buy some fantastic merchandise, have a beer and wander freely. 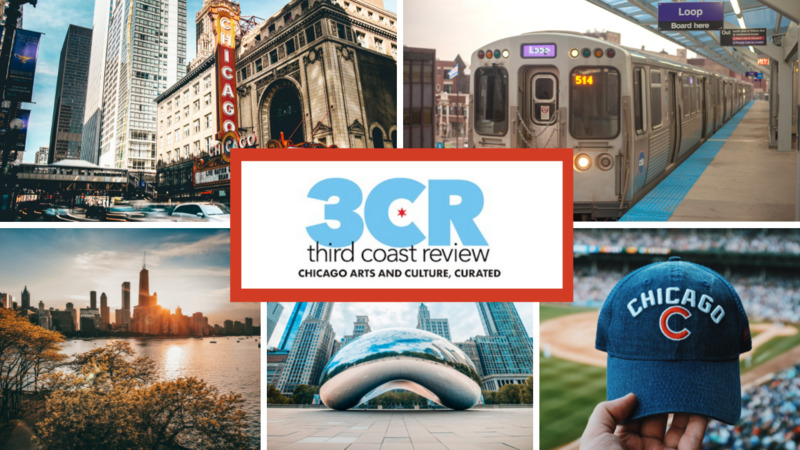 And look for Third Coast Review on the floor. We’ll make first contact when the show opens Friday morning and be bringing you daily cosplay galleries and wrap ups, tweets and Facebook posts from every last corner of the con so you won’t miss a thing. Happy con season, Chicago! We’ll see you on the floor.